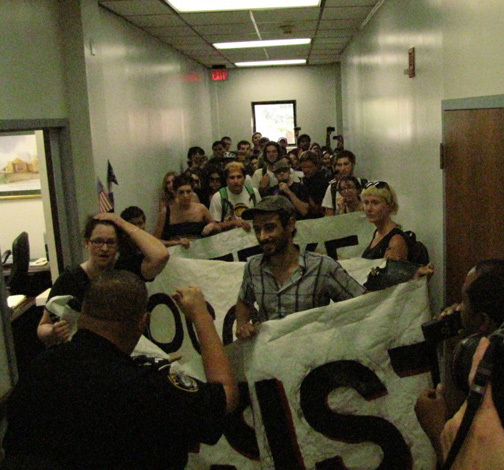 New Orleans Indymedia provides coverage from the UNO Student Walkouts and Occupation on September 1, 2010 in protest of the enormous budget cuts to programs, faculty, staff and financial aid available to students by the state of Louisiana. 2 people were arrested, reportedly six people were involved in the occupation and approximated 150 to 200 people participated in the walkouts. See, hear and read more info below. An anonymous statement sent to the press by a University of New Orleans student who occupied Milneburg Hall on the lakefront campus.